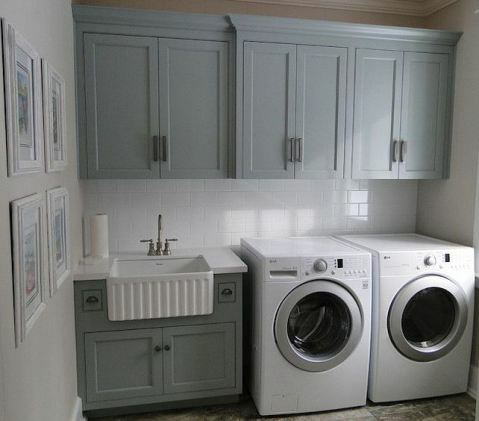 Benjamin Moore Gentleman’s Gray Laundry Paint Color Scheme via Cadieux Design. 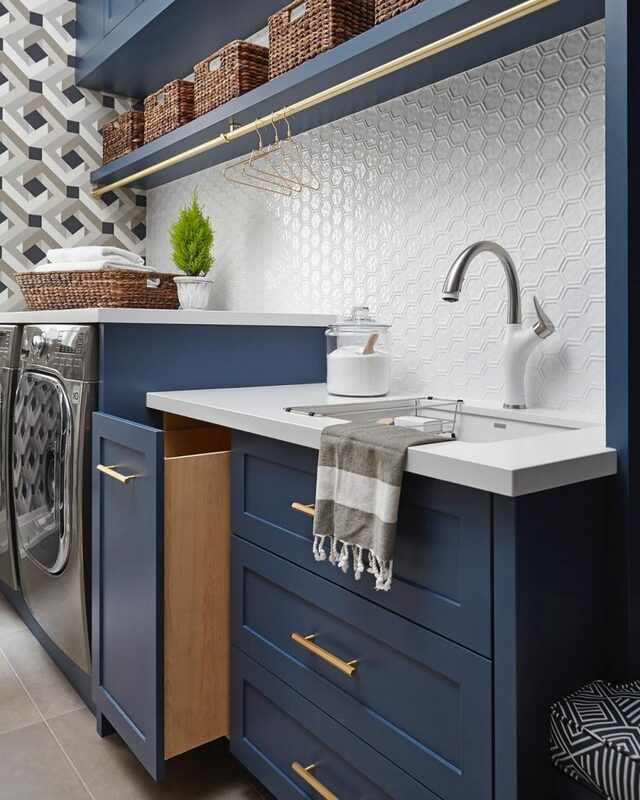 Coloured cabinetry painted in Benjamin Moore Gentleman’s Gray, brass accents and geometric patterns. Little details, like the pull-out hamper and full length rod-over-sink make doing laundry so much more convenient! This historical tray on the cabinets is soothing and pairs great with white in this laundry room. Cabinets painted in HC-164 Puritan Gray.